Americans love tomatoes. Tomatoes are near the top of the list of fresh vegetables consumed in America and we eat more canned tomatoes than any other vegetable. Lucky for us, our favorite vegetable is also extremely good for us! Tomatoes, though technically a fruit, act like a vegetable. They are antioxidant rich, containing all 3 of the high-powered antioxidants; beta-carotene, Vitamin A, and Vitamin C. Vitamins A and C are two vitamins most Americans do not get enough of in our diet. Hard to believe given the number of pizzas we consume each year and most are slathered in tomato sauce. 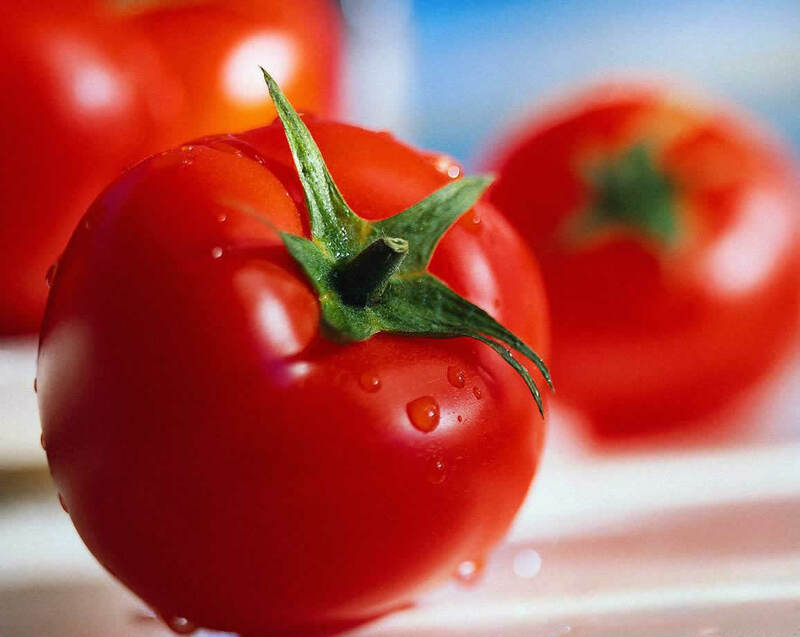 The antioxidants found in tomatoes reduce our risk of cancer and cardiovascular disease. Lycopene, besides its antioxidant qualities, creates the red color in tomatoes and is more highly concentrated in the skin. 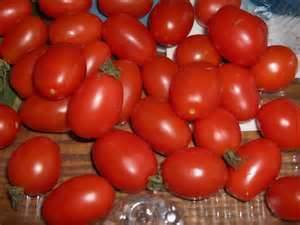 Funny it affects the tomatoes skin and is also good for our skin. Tomatoes are a great source of potassium. This mineral helps to lower blood pressure and cholesterol levels. 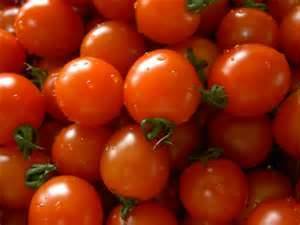 A good source of the mineral chromium, tomatoes help diabetics to keep their blood sugar level under control. Thanks to vitamins A, K and calcium, tomatoes can add improving our vision, hair, teeth, and bones to their list of benefits. Tomatoes can even fight against some of the carcinogens in cigarette smoke. No, it won’t help you stop smoking, but it can slightly reduce the damage caused by smoking. Your best bet though is QUIT SMOKING. Antioxidants reduce our risk of cancer and heart disease. But did you know that if you combine tomatoes with broccoli you can lower your risk of prostate cancer? Or if you combine tomatoes with healthy fats such as olive oil you increase your body’s absorption of these antioxidants anywhere from 2 to 15 times over eating tomatoes alone? Studies have shown this oil / tomato combo is associated with cardiovascular benefits too. Don’t misunderstand me; eating tomatoes alone is still a smart move. But since we love them so much it is nice to know that combining them with other foods improves their already powerful benefits to our health. The peel has the highest concentration of the tomatoes antioxidants. A study conducted in France also found that our bodies absorb more of these antioxidants when we use tomato paste enriched with the peel versus a paste without peels. Don’t stop eating fresh tomatoes, but try adding them into your recipes when you cook for even more health benefits. It is well known that people who follow a Mediterranean diet have lower rates of heart disease and cancer. Tomato paste or sauce and fresh tomatoes are common ingredients in Mediterranean recipes, as is olive oil. We learned that combining olive oil and tomatoes increases the absorption of antioxidants, the major player in reducing our risk of cancer and heart disease. So, I suggest you find a good Mediterranean cookbook and head to the kitchen! Buon Appetito! Note: We tend to think of Mediterranean cuisine as Italian or Greek but it is actually the food from all cultures adjacent to the Mediterranean Sea. This region spans a wide variety of cultures and they have many common elements in their foods. The two major divisions in the cuisines are the Greek/Turkish/Arab cuisines of the eastern Mediterranean and Northern Africa, and the Spanish/Occitan/Italian cuisines of southwest Europe.